We love a good cookie. If they're made healthier, that's even better. But sometimes we need to learn to put the cookie down (it isn't easy, trust). If anybody ever told you that cookie cutters should only be used for cookies, they haven't tried it on their fruits. Not only are creatively-cut melons and apples a much more nutritious option to sweeten up your spring meals, they even look presentable enough to bring to a potluck. This idea from PumpUp member latinmarge is absolutely brilliant. Vibrant fruits and colourful shapes come into play as a festive and edible way to celebrate the advent of spring. 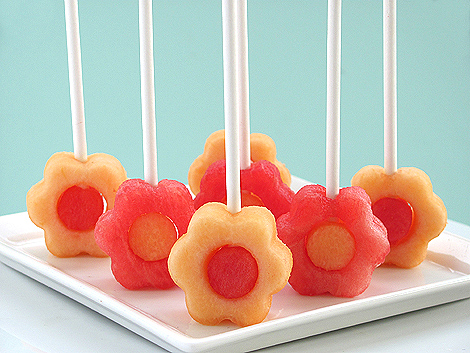 These fruit pops from Bakers Royale will help keep you cool, whatever the weather. Recipe.com had the brilliant idea of using cookie-cutter fruit to top it's refreshing green smoothie recipe, and it literally made our lives. We would consider ourselves lucky to have a sip. Meat and vegetables aren't the only types of food that shine in the kabob spotlight. Let Mint in the Middle's cookie cutter fruit gleam brightly in the skewer spotlight by serving them as delightful kabobs. Make your water sparkle with a little flavour and a lot of wonderful shapes. 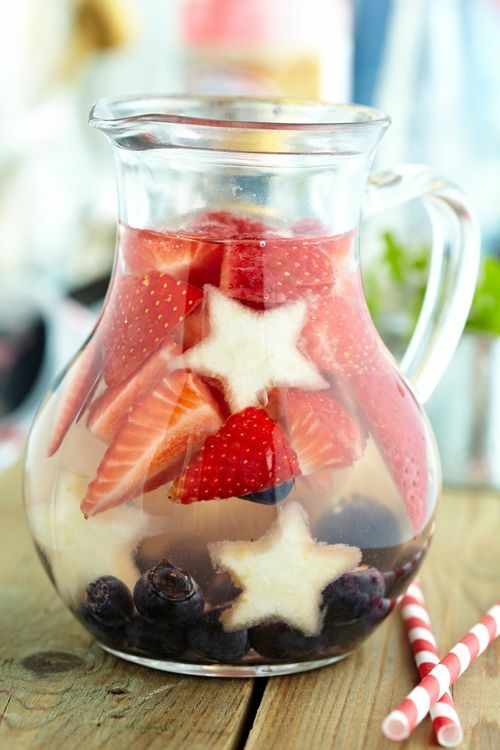 Fruit infused water is perfect for a healthy and refreshing fourth of July celebration. Nothing says spring like a great bouquet! 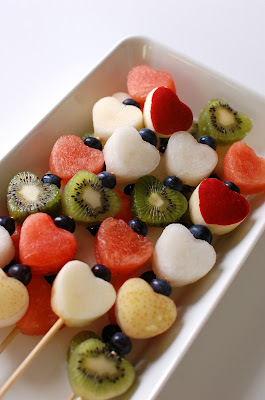 If you or your significant other is prone to allergies, try making a cookie cutter fruit bouquet instead. Bonus? It's edible. If you're gonna go through the trouble of purchasing great cookie cutters, might as well serve the fruits themselves as cookies. Look for denser varieties and avoid citrus, as pulp makes it very difficult for cookie cutter blades incise most citrus fruits in a precise shape. Kiwi - Peel kiwi and slice into discs of equal circumference. Use smaller cookie cutters with kiwis (because when in your life will you ever encounter a kiwi as big as a watermelon? Didn't think so). What are your favourite ideas for getting creative with your cookie cutters? Let us know by sharing about it with the PumpUp community!